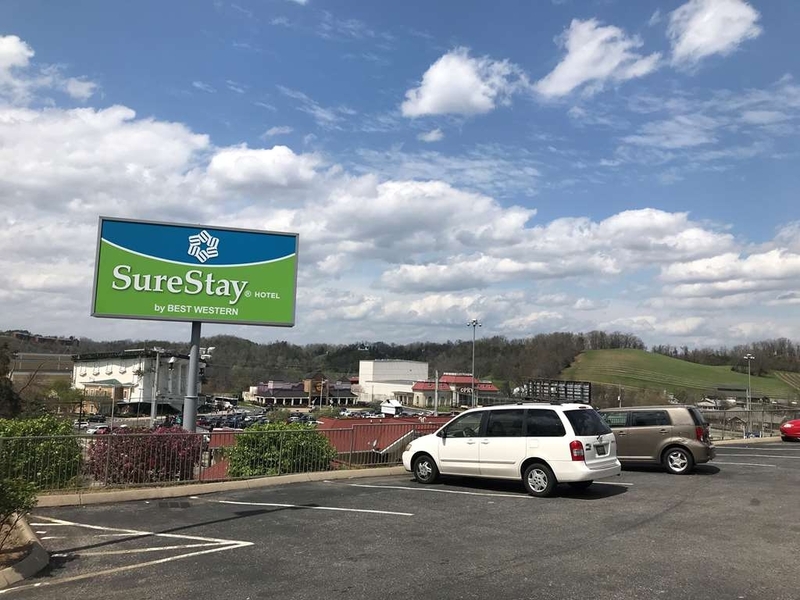 Das SureStay Hotel by Best Western Pigeon Forge ist ideal in Pigeon Forge Stadtzentrum zu finden. Erleben Sie ein schöner Aufenthalt in der Nähe von alle Sehenswurdigkeiten. Bestpreisgarantie und exklusive Angebote. 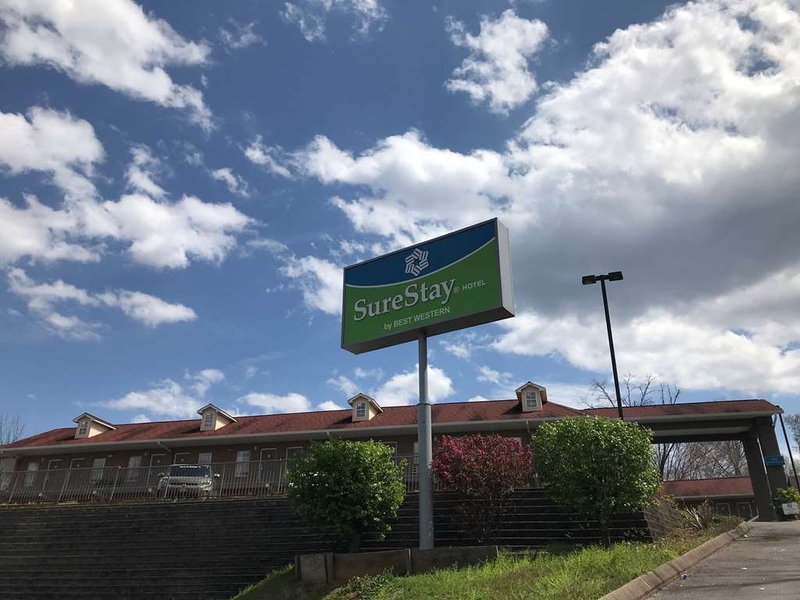 Das neu renovierte SureStay Hotel by Best Western Pigeon Forge liegt im Herzen von Sevier County. Nur wenige Schritte entfernt von WonderWorks, Titanic, Hatfield & McCoys, Hard Rock Cafe, Smoky Mountain Opry, Tanger Outlet Mall® und mehr. Nur eine kurze Fahrt entfernt von Dollywood, Gatlinburg, Smoky Mountain National Park, Ripley's Aquarium und vielem mehr. Alle Zimmer wurden im Frühjahr 2018 frisch renoviert. Reines Nichtraucherhotel, Hotel mit Außenkorridoren. Zimmerkategorien: Nichtraucherzimmer mit 2 Queensize-Betten, ca. 26 m² groß. Nichtraucherzimmer mit Kingsize-Bett, ca. 20 m² groß. Nichtraucher-Suite mit Kingsize-Bett und Whirlpool, ca. 26 m² groß. Alle Zimmer bieten kostenlosen drahtlosen Internetzugang, 37"-Flachbildfernseher mit über 90 Sendern, Multifuntions-Duschkopf, Mikrowelle, Kühlschrank, Kaffeemaschine im Zimmer, Radiowecker und Haarfön. Genießen Sie am Morgen unser kostenloses kontinentales Frühstücksbuffet. The room was very small. Some one was smoking weed in the middle of the night. I was charged for a hole in the wall that was already there. They refused to make it right. We all saw the hole when we walked in, figured they were aware of it, so didn't want to make a big deal about it. That was a mistake. Great location for a single night or multiple night stays. It's just outside of the busy part of town and easy to get to. Peaceful relaxing rooms. The in room internet is a plus. Straight across the road from the Hard Rock Cafe, Wonderworks, and the Titanic museum. "Ok if you have realistic expectations"
This was an inexpensive hotel but I thought it would be better based on the reviews I read. The room was adequate and the check in staff was friendly. The main problem was the lack of cleaning in the room. The floors are not carpeted but they were not very clean. We found what appeared to be clumps of pet hair on the floor and all of us some allergic reactions that night. Near the sink, I'm guessing some cleaner or polish was on the floor and it was very slippery in socks (which we left on because of the floor). When having breakfast, I heard another person checking out and remarking it was one of the worst places he had stayed and listed some problems including cleanliness and running out of hot water (which didn't happen to us) so I guess it wasn't just our room. I would not stay here again although if you are just looking for an inexpensive place to stay, it may work for you. I have certainly stayed in other places that were worse at that price. "Nice place and nice staff"
The people are very nice here and the hotel is clean and it is in a very good location. I slept very comfortably and felt safe and these are two very important factors to me when I go to a hotel. The rooms are clean enough and updated enough for a nice stay. The hotel is very simple without a lot of extra frills. It is an efficient place to stay. "Clean affordable rooms, great customer service"
This place was so nice! Nicer than hotels we've paid $200 a night to stay in. Very clean, modern, and the owners were so nice! We loved our jet tub and the wood floors. It was the best affordable place we have found thus far, will definitely be back! We were passing through the area and decided to spend the night on our way to home so we booked two rooms here. We were very sat with the price. The rooms were recently updated. The only complaint we had was the heater was very loud when it came on. "Great location. Great staff. Great price. Very clean. Pet friendly." Great hotel experience. We stay in pigeon forge at least once a year. First time at this hotel but will stay there from now on. Small, clean and cozy hotel. Great price, on the strip, and very close to all attractions. Outdoor entry. Nicely decorated rooms. The bed was comfy and so were pillows. 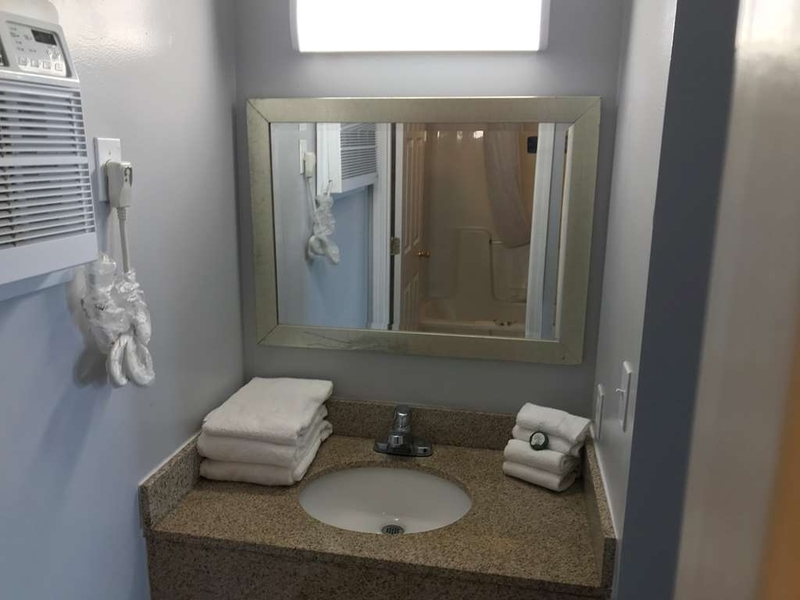 Room was clean.The shower pressure was very good and water gets hot. True continental breakfast. Many businesses are nearby. "A Good Night's Rest in the Heart of the Smokey Mountains"
Our second vacation at this hotel. Clean, newly remodeled rooms. Pets are welcome which is a plus! Free breakfast available. Very friendly staff. The nicest economy hotel we've stayed at in this area. It's close to all attractions in the Pigeon Forge and Gatlinburg area. We will be coming back. "No hot water, barking dogs - NO CARE"
Our hot water would come and go during the course if a shower. We asked the front desk about it and they said it's normal. The people in 112 left their dog alone in their room, and it barked for 4 hours nonstop before we left. We asked the front desk to do something about it, and nothing was done. When we came back later in the day, the dog was still barking! This is why most hotels have a policy that states you're not allowed to leave your pet alone. Nobody wants to listen to their dog bark all day!!! And for the hotel to do nothing was INSANE!!!! House keeping was lazy and kept trying to just leave towels, rather than come clean. Sorry we have tankless water heaters that delivery water on demand and rooms towards the end of the building it takes a minute to get to even with a recirculating pump. We welcome pets to our hotel. As far as the pets go our hotel policy allows pet to be left in rooms by themselves. Because most pets don't bark for hours and hours. Most pets are okay and behave themselves. But sometimes dogs bark that's kinda what they do. Also after you informed us we did call into the room and also went to knock on door, nobody was there except the dog. We tried calling the number on file and could not get ahold of anyone. Nothing more could be done. As an economy hotel we do not offer full daily service. Only light housekeeping is provided. Sorry again for your inconvenience. The moment we walked in the room and sat our stuff on the bed, there was a roach. ON THE BED! We quickly grabbed our stuff, went and got a refund, and left. We decided to stay at the Super 8 motel. It's nice and clean and roach free. Sorry again. Its just this one room our exterminators have been out here and treated that room 3 times. Hopefully now the problem is gone for good. But if anyone does have a problem let us know as soon as possible. We will gladly move you into another room or give you a refund. We want your trip to the Smokies to be great. easy access for quick stop for our trip and rate was reasonable considered for a weekend. we had great stay with our family, clean and newly renovated rooms . will definetly stay here again and surely recommend this place. Happy to hear you enjoyed your stay. Our location at the traffic light right across from WonderWorks and Hatfields and McCoys is really great for easy access in and out of the hotel. Thanks again for staying and hopefully see you soon. "Clean and good customer service"
We stayed 3 nights here while exploring Smoky Mountain NP, and at first was a little put off by the lack of amenities, but Sam was very good at making us as comfortable. 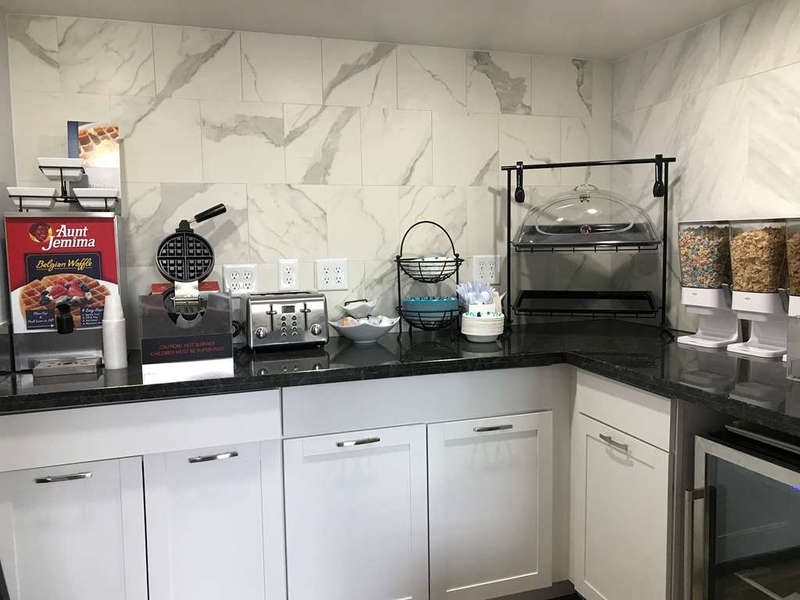 Pros - Clean, Customer Service very good, comfortable Bed, the best pillows ever, Microwave and refrigerator, coffee maker, a 4' table to set things on, flat screen TV was good. Cons - Breakfast was not as advertised (one of the reasons we selected this property), they advertised eggs, and the photo of the breakfast room showed a waffle maker, but they didn't have either one - We were in the back building, and there was no light on the stairs at the end - when we arrived the ac unit had a thick layer of dirt on the front, but they came and cleaned it after I mentioned it, - No luggage rack to set suitcase, but they brought a chair to use (again customer service), - the bathroom fan sounded like a jet taking off. No hair dryer in the room (Sam says they have them in the office), no Kleenex, (so we used a roll of toilet paper.) After the 1st day we got all of the things ironed out, and was very comfortable. So glad you guys enjoy your stay here with us and in the Smokies. We are glad everything we could was taken care for you. If you need anything else let us know. 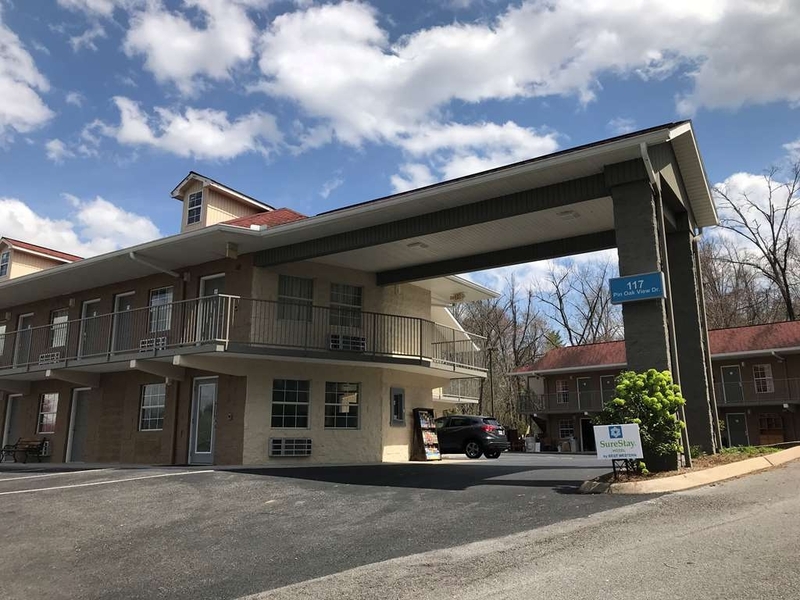 "Good stay at a budget motel in Pigeon Forge"
We'd say the room met or even exceeded our expectations for the price we paid in October in Pigeon Forge. We were pleased; the room was clean, the air worked fine (for the summer weather in the middle of fall), and the king-sized bed was very comfortable. The staff and owners were very friendly and personable. The in-room wi-fi was excellent, which was a welcomed change compared to some Pigeon Forge motels and hotels in which we have stayed. We didn't have the breakfast, so we can't comment yea or nay on that. It was easy in-and-out, and for Pigeon Forge in the fall traffic, that's a premium benefit. The only real complaint was the remote for TV didn't work well, but it was worth bringing something like that up to the staff. We'd stay again if we had the opportunity. I've traveled a lot, but I've NEVER found roaches anywhere!!! They were on the walls, floors, toilet and tub!!! Room 115 is infested. Do not stay here. We discussed our problem with front desk and they were not appalled. In fact, they didn't seem surprised at all, despite being shown pictures!!! We were staying at another BW motel and wanted to extend another night but rooms were already booked. 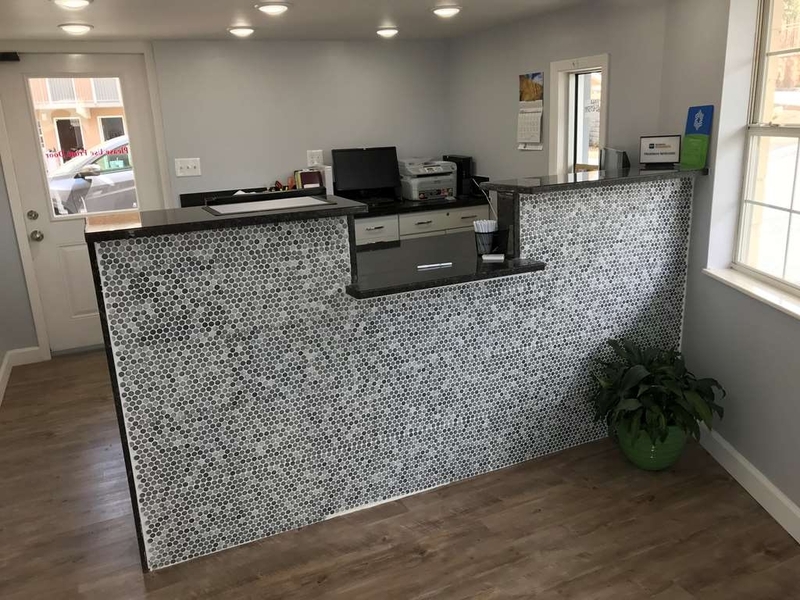 We decided to move to this site based on the "newly renovated" status and reviews. The rooms were fine but the new LED lights above the beds were too bright and reflected off the TV screen badly in our room. We finally draped a towel over the light fixture which helped some. No Kleenex found in the room. The breakfast food was minimal in both quality and quantity, coffee seemed diluted along with the juice machine plus bruised bananas. Breakfast area is also limited on space. Overall would have expected more for the price paid, as the motel we left had more amenities at a lower cost. Clean and new but bare minimum(s) on everything. This hotel was totally spotless with beautiful linens and very quiet. Our room was facing opposite side of Parkway and I was glad. Staff was very pleasant and friendly. The location was great, close to restaurants and attraction. We visited The Apple Barn and purchased some fried apple pies, apple butter and other things. Great weekend in Pigeon Forge! So much to do! We were very pleased with the newly remodeled room!! Room was very clean with new upscale furniture! Staff was very nice and helpful!! It was a peaceful and relaxing stay!! Price was great!We were very pleased with our stay and will be back again!! Thank you for an awesome stay!! 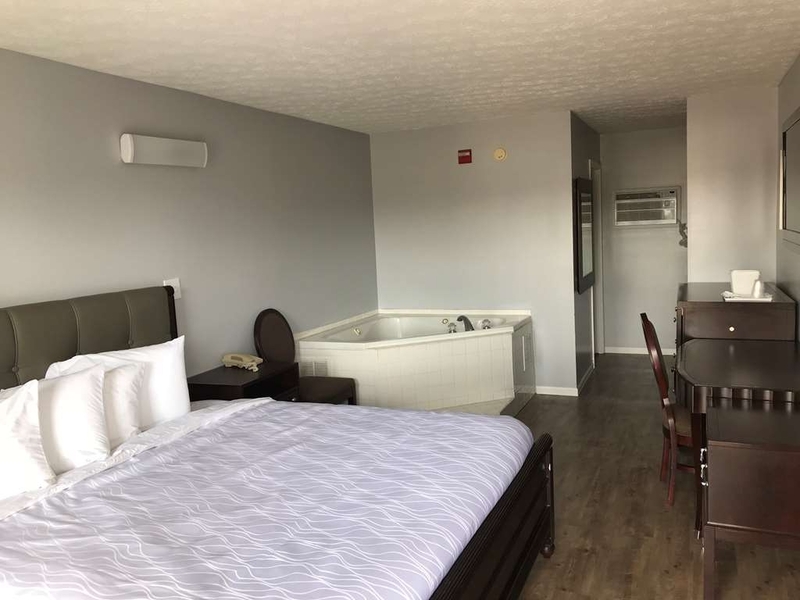 We did a quick trip to Pigeon Forge- two days - for my daughter's 26 birthday and wanted an economical place to stay. This hotel has that modern minimalist vibe. There are no frills (unless you count free wi-fi) - just your basic room with a television, bed and shower. The bed slept well and the breakfast, while not having a huge variety of items, wasn't bad. The waffles had a great taste but I would have liked more variety in fruit items. Overall, this was a pretty good place to stay with a great price tag. The room was clean and the receptionist was friendly. I would recommend this as an affordable place to stay in Pigeon Forge. Thanks this is a great review of what we are. Were not a huge hotel that has pools and lots of other amenities. We are simple, clean, and priced well. 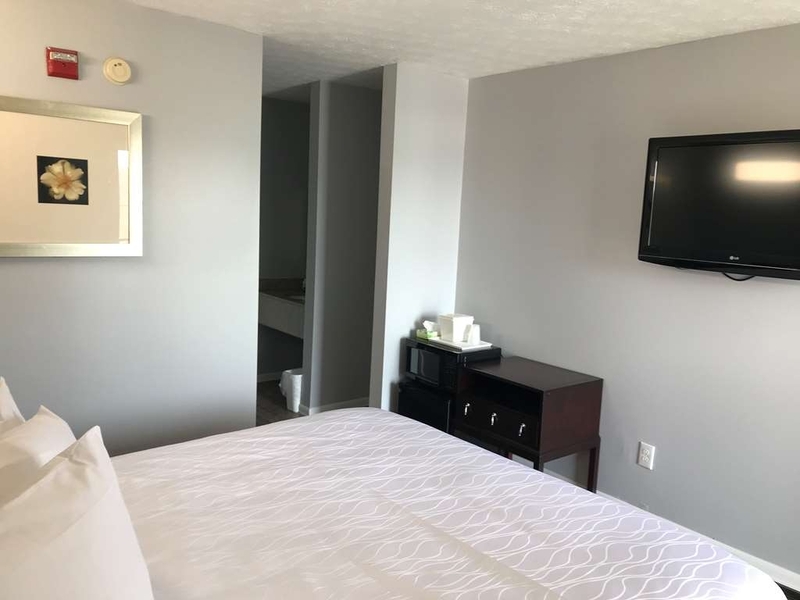 We offer the basics because most people do not want to stay in there hotel room all day when we have all this stuff (GSMNP, Dollywood, all these shows, go karts, shopping, food and much much more) to do in and around town. We had people stay for a week and still didn't get to do everything they wanted. They were here just for sleep and showering. "Book online reservations.......very disappointed in the quality of the hotel." We booked this reservation online as we were traveling to Pigeon Forge. (first time doing this and will be the last) We were highly disappointed in the quality of the room once we arrived and asked for a refund. We had stayed at Best Western Hotels in the past in other areas and had always been pleased. This particular hotel is not up to par with the other Best Westerns we have stayed at. Thankfully, we were allowed to get all our money back. We then found another hotel and was able to have an enjoyable vacation in Pigeon Forge. Thanks for your review. We are not a Best Western. We are a SureStay by Best Western. It is a economy brand. If you are used to a interior hotel with pools, fitness center, meeting rooms, and large hot breakfast that is not us. I would recommend you stay at a Best Western Plus or Premier hotel. 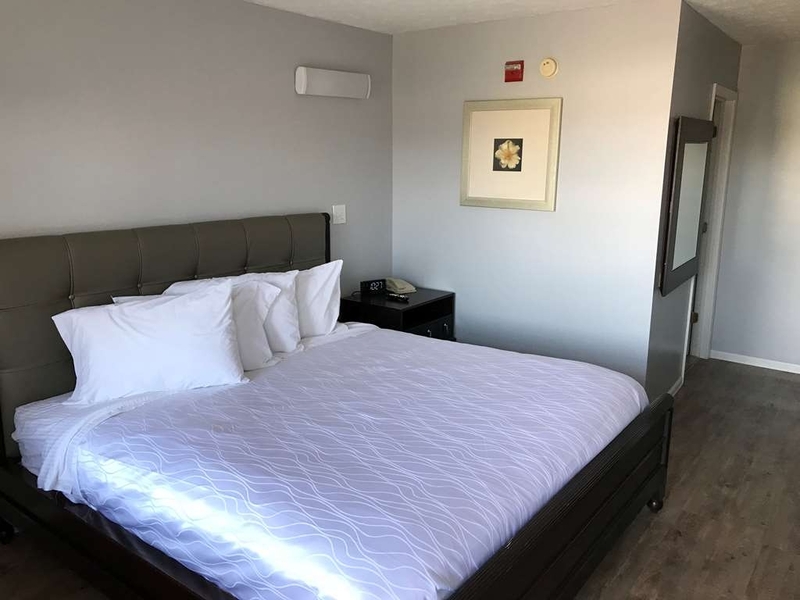 We at SureStay are a economy brand, and offer a good rooms for good prices. 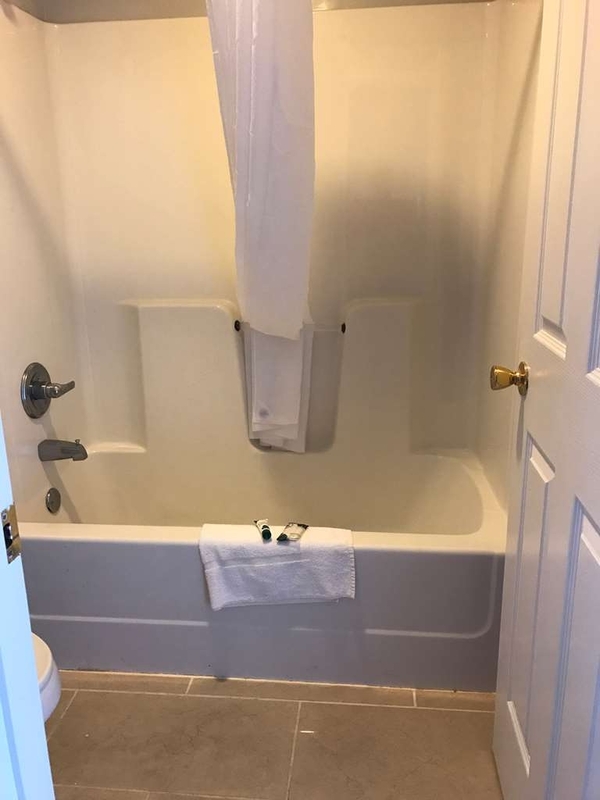 Our rate compared to other Best Western hotels are going to be lower and if that is not what you want then we try to make it right like we did with this guest. I'm glad you found another hotel and enjoyed the rest of your vacation. Please come back and visit our beautiful mountains again soon. Thanks for your review. Come back and visit us again anytime. Receptionist was very foreign and hard to understand. Requested two room keys but one didn't work. Room was nice had hardwood type floors. Housekeepers was very attentive to our needs. No blowdryer in room. No elevator but only two floors. Sorry about your experience. I'm glad there were some positives from your stay. Because of your review we will try to work harder and make things better for you and other guest in the future. Thanks for your review. Come back and visit us again. Newly renovated. Clean. And in the perfect location, close to restaurants and the outlet mall. Not a bad drive to Gatlinburg. The staff was helpful. Love the continental breakfast and dog friendly policy. Great I'm so glad you enjoyed your stay. We do have a pretty awesome location and you can drive anywhere else within few minutes. ( or lots of minutes depending on crazy traffic). And of course we don't mind the four leg friends here. (Just know there is a pet fee.) Thanks for your review. Come back and visit us again anytime. This is exactly what I want in a hotel when I travel. A clean place to lay my head after a day in the mountains. The perfect location right across from the amazing Hatfield McCoy dinner show and a short trip from the Island. Great stay and within budget price for my family! The room was clean and comfortable. There was a good breakfast selection, and the staff was friendly and helpful on recommendations on nearby restaurants and activites. I would stay here again! Came here for our anniversary weekend and it was just awesome. Rooms are clean, service is great and they make sure you feel great during your stay! Excellent breakfast, a lot to choose from, beds are soooo confy and great views from the rooms! just love it! "Sad my date cancelled on me for our couples trip but..."
I was pretty depressed upon finding out that my significant other would not be joining me, and I was feeling a bit hopeless that this excursion would be all that great. However, I enjoyed my stay here very much. The room was really nice, and I had a pretty view of Pigeon Forge. The beds were also comfortable, and the staff were always polite and reliable. I'll definitely be staying here the next time I get stood up!! "Quiet area - clean place and friendly desk cleark"
The room beside us had a dog barking continuously and was very loud. We asked to be moved and the man at the desk kindly gave us a room on the other side of the building. The room was comfortable and clean although small, which was fine since we didn't come to Pigeon Forge to stay in the room all day! We liked that the hotel is off the main road somewhat. It's a great escape from the business of Pigeon Forge and Gatlinburg. We loved this place. It is new to the Best Western Sure Stay family. It was another name before. They have taken over a hotel that was there before it was new paint the room was great. The beds where great would love to have one at home like that. We got in late and they where so nice got us checked in. We went to go to our room a little cat was there to great us and walked us to our room. We got in and put our bags down to look over and see the cat was looking at us throw the window. We are cat people so found this so sweet. VERY CLEAN room. We had ress for another hotel would sold our room out from under us. They were so sweet to have a room ready for us. They do have a breakfast but we where going right to Dollywood so we did not eat there but it did look good. Would stay there again. This is one of the cleanest motels that I have stayed in. I was very pleased when I walked into my room. It is in a wonderful location as well, not far out of the way. The hotel staff and management are wonderful and very pleasant. Room was just as nice as a room from Hampton Inn. I will definitely stay here again. For those of you who want a nice room for a decent price, this is your place. "Nice, quiet hotel right off the main parkway"
We stayed four nights at this hotel and loved it. We got a great deal on our rooms! 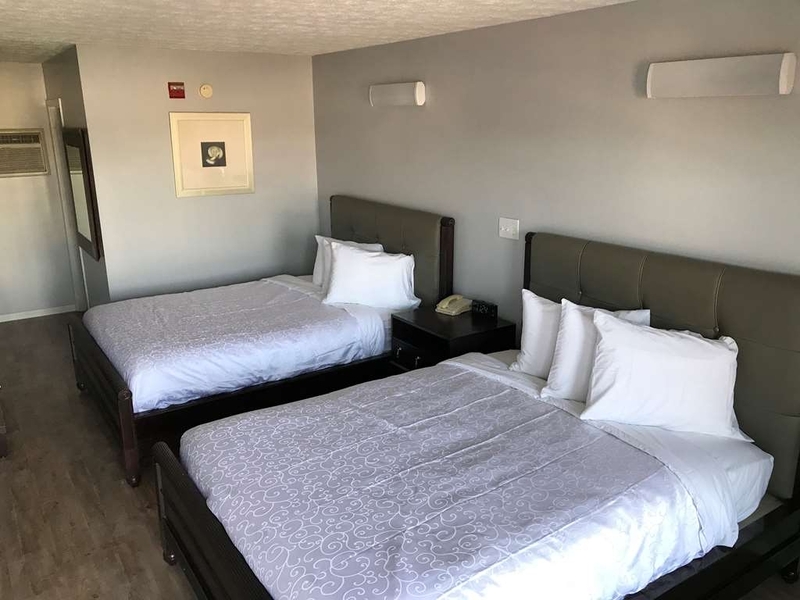 The hotel is newly renovated and is clean and comfortable. The staff were very friendly and accommodating. We really enjoyed our time here and plan to return. We would definitely recommend this hotel to those looking to be near everything yet nestled away in quietness for a great deal. "Perfect Road Trip Stop! " We loved this low cost hotel as we were traveling through the Pigeon Forge area. It was clean, comfy, and a great stop for an evening of family fun. It was close to nearby attractions and restaurants. Book our stay on the Best Western website. Tuesday night stay cost $65 after tax. Great deal! The rooms were clean, no carpet, the beds had nice padded headboards and clean white linens. The rooms were small but adequate. No pool is a drawback. The breakfast had a good selection of basics oatmeal, cereal, mini muffins, doughnuts, and a waffle iron. Overall, we'd stay again. My friends and I recently stayed at the hotel on a spur of the moment due to severe inclement weather (we were on our motorcycles). For $90, I found the room to be adequate. It met our needs; comfortable bed, clean / hot shower and working A/C. I was somewhat surprised that the room has a “window like” A/C unit, for the price I was paying. But it worked. I had a slight issue with the shower/tub drainage...but once I obtained a plunger, and all the hair came up...the tub drained. It looked like someone shaved their 1970s “cat” in the tub. While our rooms were the same price with two queen beds; each had its own (simple) amenity(s). One room had a hair dryer, while mine did not. All the rooms had a microwave and mini fridge. I may have been able to get a cheaper room, but we were pressed for a place to stay. Overall, the room wasn't bad...but in my humble opinion, it wasn't $90 worth, no restaurant or bar attached to the hotel. Although, Hard Rock Cafe is across the street. Maybe I am just frugal. We we're nust looking for a cheap place for a couple nights and were pleasantly suprised. Nice room with patio right on the river. We loved feeding the geese and ducks in the mornings. Very nice. No complaints at all. Will stay again. "A place to stay, but take care of your own luggage!!!!" We visited here when we were on a bus trip. Since we were a group we were to have our luggage brought to our rooms. We waited and waited for it to come, and were on a time crunch with having to shower and dress to go out for the night. We had no personal toiletries or clean clothes to change into. We called a few times about where our luggage was and were told that it would be checked into. They denied that they had it and said maybe your bus driver did not take it off the bus. We later were told that our red baggage and another lady who had a small overnight bag's luggage was seen sitting on the curbside after all luggage was supposed to be delivered. It was gone when they went back out to check on it. My husband then got his bag delivered to our room by a Maintenance Man (???) . We later were told that another room of someone who also was on our trip had the luggage and when noted it wasn't theirs, they called to have it picked up and it was supposedly taken to the front desk. Upon us making the first call, it was then delivered to our room. My bag was still missing so we stopped at the front desk to inquire about it and the receptionist girl acted like. "Oh, you lost your luggage, ok". and didn't appear like she was going to do anything to help us retrieve it. We also were told, that they "knew we got our luggage delivered and everything was ok", but not aware that we were looking for the 2nd bag. Quite confusing and difficult to make staff understand until we got a "manager" involved. We had our Tour Guides check into it for us and then we were told we had to get back on the bus to go to our evening dinner and festivities, or the bus would be late and we were holding everyone else up. The "manager" whom we called into the situation said they would try to locate it and call us. While at dinner, our tour guide got a text that it was found and would be in our room upon us returning for the night. It sort of made us still feel very uneasy, even after that since we didn't know if everything was still intact in our bag. . There was no explanation of where our bag was or who had it. I We found it in our room upon arriving back for the night and inquired where it was, but "no one knew". We think it was delivered to an empty room and they had to try and track it down. Very upsetting since we depended on the hotel staff to take care of this detail for us and felt like some of the staff were very nonchalant about it. If we every get that way again on a bus tour, (not having a choice of where we are staying) we will be sure to handle our own luggage!!! I usually stay in 4 or 5 - Star hotels when I travel, however an unexpected trip meant a last-minute reservation at whatever I managed to find in Pigeon Forge, Tenn. I settled for the Rodeway Inn as it had about the last vacancy for my specified dates. I was prepared for the worse (I haven't stayed in a motel in decades!) but was quite surprised and pleased to discover a truly clean, comfortable room with every anticipated accommodation. Climate control was essential and worked perfectly and without any noise. The bathroom definitely met my expectations, not overly small and with the external room for shaving, etc. The toilet was actually quiet for a change, equipped with that new push button flush arrangement. Nice! Cable TV and the beds were quite comfy ... and ... even an extra blanket and throw were discovered in a dresser drawer. A classic coffee pot was also available (not the Krug type but one in which you can make you own ... i did bring my own ... I even brought a pot which I didn't require as it turned out) and it sat atop a microwave. Great lighting was also available and the usual alarm clock, chair ... good use of space all around. I could not hear my neighbors at all unless they went into the parking lot. Nice place and would gladly stay there my next trip. There was a pool but unusable due to the late Fall weather. By comparison, my friends managed to obtain a room at the motel across the highway. They complained like mad about their room and the false advertising, the high rate due to marginal vacancies and were quite impressed with my accommodations, saying they would choose Rodeway next trip. So, that's about it. The rooms are sub standard, some rooms are ok decent while some are (esp smoking ones) are in bad condition for a motel. Not all rooms have amenities as mentioned, definitely a shame on Choice hotels to maintain such motel at Pigeon Forge.